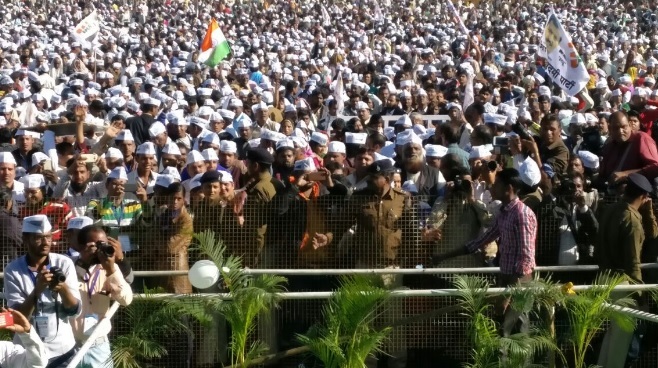 Bhopal: Delhi Chief Minister and National Convener of Aam Aadmi Party (AAP) Arvind Kejriwal today started the campaign, two years ahead of Madhya Pradesh Assembly election to oust the Bharatiya Janata Party from power in this Central Indian State. Addressing a huge party rally at Chhola Dussehra Maidan here described the Madhya Pradesh government headed by Shivraj Singh Chouhan as corrupt and and also accused Prime Minister Narendra Modi of benefitting those in the BJP by demonetisation of scrapping of old notes. Taking a dig at “note ban” Kejriwal alleged that demonetisation is a ₹8000 crore scam. He also asked how can corruption be stopped by replacing the old ₹1000 and ₹500 notes with the new ₹2000 notes. Kejriwal said that that both the Congress and BJP take turns to loot the people. Both the parties are hand in glove he added. The AAP chief said that the Modi Government does not waive the farmers’ loans but writes of the loans of the capitalists and the rich. 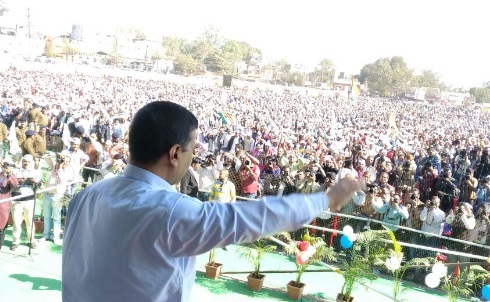 Kejriwal said that people are angry and they are coming in huge numbers to hear about corruption.